Carbon Steel tubes and G.I. Steel tubes & Pipes. With the rich industry experience in the respective domain, we are offering our clients a quality range of Plug. Available in various sizes, shapes and specifications, these are mainly used to close the end of the pipes. Made from stainless & carbon steel, these plug are similar to cap but fitted inside the fittings. Further, also provide customization facility and offer these plugs as per the requirement of our clients. Pipe Plugs/Sewer Pipe Plugs are designed to provide a quick and simple means to perform a variety of jobs such as stopping flow in a pipeline (for maintenance or repair), down stream pipeline acceptance testing, or to stop flow so that infiltration of a section can be measured etc. Thus, a Sewer Pipe Plug is thus a device that is used to arrest the flow of contents further in the pipe. It is available in a variety of styles, sizes, and configurations so as to match your specific job requirements. Plugs are mainly used in fluid plumbing applications to plug off a FPT fitting, have varying pressures (from low pressure to high pressure) and are available as expandable, mechanical and inflatable, something just right for virtually any application. These plugs simplify the maintenance of all types of shell and tube heat exchangers and speed the performance of in-service inspection of pipe, pipelines, piping systems and pressure vessels. Mechanical pipe plug : Mechanical Pipe Plugs are designed for use in concrete, clay, and some plastic pipes. They don't require air and are good for long term applications. Pneumatic disk pipe plug : These sewer pipe plugs are designed for use in concrete, clay, plastic as well as steel pipe. They have slim profile, bolt together sections, higher back and test pressure capabilities more than other low pressure plugs. Single size pneumatic all rubber pipe plug : These are designed for use in a wide variety of pipe types and styles. Their advantages include their ability to seal most slightly out of round pipes and are economical to use when only one pipe size is needed. Multi-size pneumatic pipe plug : These Plugs are designed for use in a wide variety of pipe types and styles as well as job requirements. Their usage does not require the need to know the exact pipe size and they are compatible with a variety of pipe sizes. They also seal most slightly out of round pipes and are excellent for standard low pressure air testing. 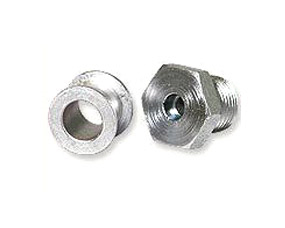 These plugs are also used for blocking or leak locating. Multi-size flow-through pipe plug : These pipe plugs seal multiple line sizes and the major application includes blocking, testing and diverting. They are most useful for by-pass pumping, leak locating or blocking and gravity flow diversion. High pressure pipe plug : Available in a large number of sizes and pressures, they are used for testing or blocking of lines up to high pressures (around 150 PSI). 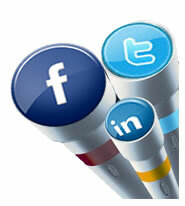 © Copyright, Spark Electrodes Private Limited. All Right Reserved.